Meditation is an art. It is a unique art of silencing the mind. Before learning how to do meditation at home, let us see the answer for why we should meditate. If you learn what is meditation and how to do it, you can combat stress, enhance your physical and mental health, reduce chronic pain if any, sleep better, be more peaceful, feel happier and above all, be present. However, on a much deeper level, meditation is certainly a doorway into the unknown. It helps us unveil the mystery of who we are and our purpose of life. Well, how to get started? All you need to do is just spend a few minutes a day on a regular basis and over time, you can surely have a deeper experience in meditation. Let us see how to do meditation for beginners and how to do mindfulness meditation. Time – As meditation is basically relaxation time, it must be done at your convenient time. Choose a time when you will not likely be disturbed and you can enjoy the process, preferably, hours of sunrise or sunset. However, any time is ideal. Place – Any convenient and quiet place where there isn’t much disturbance. Posture – The posture does make a difference. Ensure you are relaxed, steady and comfortable. But, sit straight. Your spine should be erect and keep your neck and shoulders relaxed. Empty stomach – It is better to meditate before having food or two to three hours after consuming food. However, it is a bad idea to meditate when you are hungry. Take deep breaths – This prepares you for easy meditation. Deep inhale and exhale before meditating is a good idea. It helps to steady the breath rhythm aiding in meditation. Start with meditating for just two to five minutes to form a longer lasting habit. You will really find it much easier to start meditation this way. Forming a habit with a relatively small start as this is a great way to succeed. You can expand to 7 minutes, then ten minutes, 15 minutes and finally 20 minutes over time. 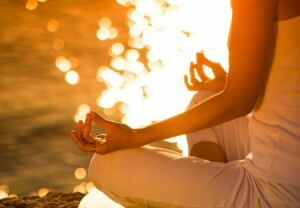 The simplest yet the most effective way to meditate is to just focus on your breath. You may close your eyes. If you prefer to keep them open, look at the ground. As you inhale, follow your breath moving in through your nostrils, into your throat, lungs and belly. As you exhale, follow your breath moving out back into the atmosphere. If you feel your mind is wandering (perhaps it will), pay attention to where your mind goes and gently bring it back to your breath. You might not be very good at meditation in the beginning; however, with practice, you will certainly get better. There are different types of meditation. If you know how to do Vipassana meditation, you can cultivate mindfulness. Vipassana is to see things as they are and is one of the most ancient techniques of meditation practiced in India. Well, that’s it. It is, in fact, a very simple practice. Do this for a month for 2-5 minutes every day and you will end up having a daily meditation habit. Gradually increase the time. Expand your practice in course of time by doing meditation exercises – by paying attention to your breath and training yourself to focus your attention. Needless to say, this is just a start. There are numerous other ways to practice meditation that includes practicing mindfulness with others, practicing when you are at work, and the like.